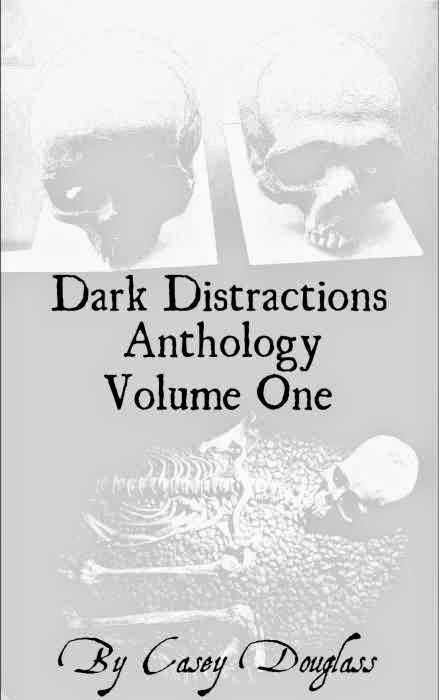 Guitar-based dark ambient albums are quite the rarity, in my own personal exposure to the genre at least. But like any genre, the diversity and expansion of the so-called “norms” only serve to make it stronger and gives it the chance to appeal to other aspects of the listener's personality. Northumbria's Helluland is just such an album and it has a beautiful sound that insinuates rather than blatantly blares its colours. The first track “Because I am Flawed I Forgive You” begins with the sound of the sea, with bird calls sounding at a distance. Then the first notes begin to sound, gentle and slightly distorted, a peaceful scene given a soundtrack that lulls and to me, depicts nature at its stony chilly best. “Still Waters” starts with a higher pitched sound that interplays with drones and dark rumbles as the composition continues, the peace of the earlier sections meeting a sadder tone. “Sacred Ground” is a ghostly track, hints of voice at the beginning fading into shifting swaying chords, a deeper sound joining them with dainty guitar-plucks and looming gloom. “Maelstrom” is another track that starts with the gentle sounds of the ocean, until wind and drones flood forward, the sky awash with particles and grit that scours everything clean that they kiss. This is a deeper, harsher track than the ones that precede it, but breathtaking in its claustrophobic feeling. “A Door Made of Light 1” and “A Door Made of Light 2” are next, lighter, daintier tracks that go back to the ghostly and intangible, the hint of voice and resonances climbing the note scale in echoing grace. “Song For Freyja” is a breathy track, winding sounds and voices mingling with guitar notes and echoing reverberations making it feel like it represents the space in which a mountain top touches the sky. “Catch A Falling Knife 1” begins softly and soon descends into a deep-strummed rhythm with almost screeching guitar notes. It is certainly a well named track as it does have a certain sharpness to it. “Helluland” is a majestic track that seems to encapsulate the soundscapes and flavour of the previous tracks in one long medley that sweeps and guides the listener through every peak and valley of a mountain range. “Catch A Falling Knife 2” is the final track on the album and mirrors the first in a number of ways but overlays a far darker and heavier tone as it passes the midpoint. 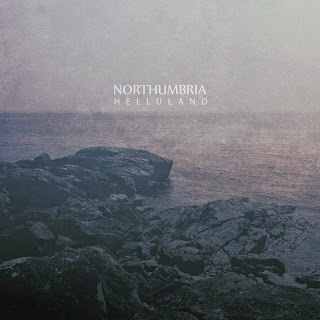 I found Helluland to be an album that creates great feelings of space and nature, the guitar-notes seeming to glance off from hard stone and ice and mingle with the airy echoing feelings of the sky above. If there was ever a soundtrack for a video of clouds casting shadows across a snowy and rocky landscape in accelerated time, this is it. I enjoyed the feeling of coldness and isolation, it was relaxing and there was little to jar me into a more alert frame of mind. Helluland is another great dark ambient album that should expand your ears and musical inclinations by serving up something that is emotive and less common than its competition in the dark ambient market place. I give Helluland 4/5. Have a look at the Helluland page here on Bandcamp to find out more.